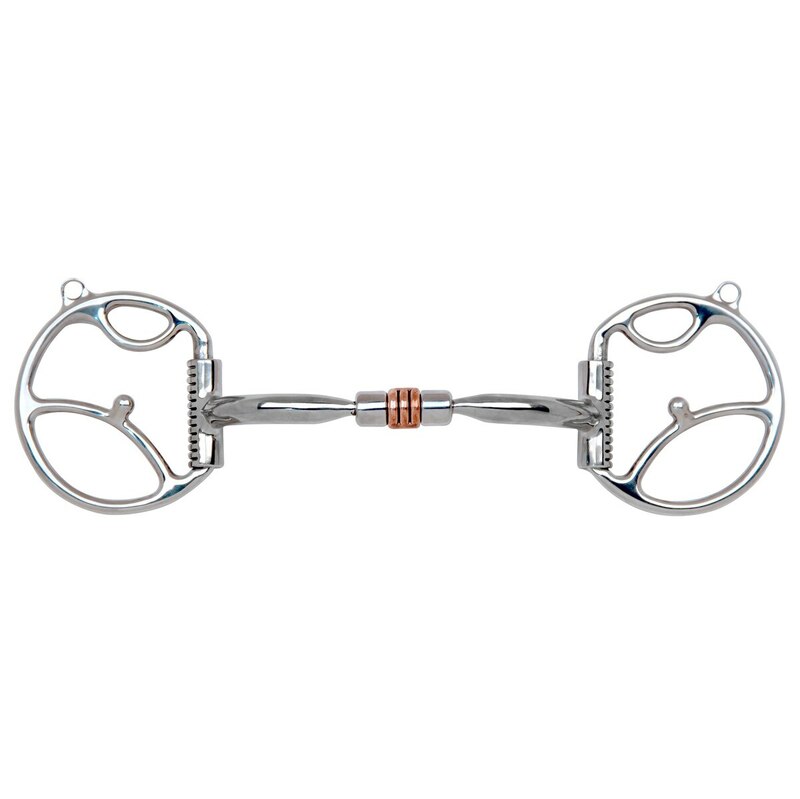 Stainless Steel Western Dee with 2 Hooks with Sweet Iron Comfort Snaffle with Copper Roller (MB 03, Level 1) Copper Inlay. This mouthpiece is made of polished Sweet Iron which naturally oxidizes or rusts. Harmless to horses, it has a sweet taste and promotes salivation.